It is with great sadness that the family of Loretta Brockelbank (McMahon) announces her passing on Thursday, Thanksgiving morning, November 22, 2018. 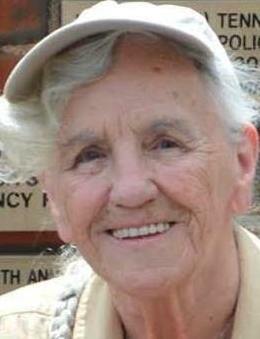 Loretta passed peacefully in her home after a brief illness at the age of 84. Loretta was a loving mother, sister, friend and grandmother. She was a passionate person who devoted her life to caring for others. Loretta was born on October 14, 1934 in Boston, MA. She received her nursing degree from Massasoit Community College and was a retired psychiatric nurse; previously worked at Pembroke Hospital and MA Department of Corrections. She was known for her quick wit, infectious smile, rich conversations, and kind and compassionate spirit. Loretta has joined her angels in heaven: lifelong partner, Raymond Lozeau, brother John McMahon, sister, Gladys Afienko, daughter Brenda Brockelbank, and son Gary Brockelbank. She is survived by her son Norman Brockelbank Jr., brothers Donald McMahon and Phillip McMahon, sisters Katherine Kalfin and Marie Rose Coppola, caretakers and grandchildren Robert Washburn and his wife Holly Washburn, Nicole Ivone and her husband Brandon Ivone. She is also survived by grandchildren Heather Brockelbank, Amy Kastner, Brookelynne Brockelbank, Kyle Brockelbank, and Daniel Brockelbank and Nathan Bolio, as well as ten great grandchildren. Calling hours will be held on Wednesday, November 28, 2018 from 4-7 p.m. at the F.S. Roberts & Son Funeral Home, 14 Independent Street, Rowley. A Mass of Christian Burial will be celebrated on Thursday, November 29, 2018 at 10:30 a.m.at Star of The Sea Parish, 18 Beach Road, Salisbury. In lieu of flowers, expressions of sympathy may be made in Loretta’s memory to Dana- Farber Cancer Institute, 450 Brookline Avenue, Boston, MA 02215 or Dana-Farber.org and to the Loretta Brockelbank Nursing Scholarship in which she left funds behind to assist a nursing student in need, Please visit https://www.gofundme.com/loretta-brockelbank-scholarship-fund?teamInvite=0mo75oFt5Rephpo14tzqT8r22Xfdo7jzALH5A2x3LfG1sKJETBiEQwo6J29iOZ8u.